PUMA Social, a social sports event first launched in April this year had their PUMA Social Club Nights tonight over in Cosmic Bowl Midvalley Megamall. It was a night where members of the media, bloggers and a host of celebrities get to just play bowling where PUMA Social had the chance to introduce their second campaign. PUMA Social, with a tagline of "Here's to the After-Hours Athlete" aims primarily to bring together PUMA Social-ites across the nation to share their own competitive scoreboards and connect with other users via their website at http://puma-social.com.my . 8 Bowling Reserved for us! The night was to kickstart the club event called the PUMA Social Club Nights, where Malaysian after-hours athletes will be given the opportunity to experience PUMA's interpretation of bowling at designated spots all around the nation. The scheduled bowling events were to be held in Penang, 2 November at Fuel, Autocity; Melaka, 9 November at Movida; Johor Bahru, 10 November at Hola Pub & Bistro; and finally, Klang Valley, 25 November at Ecoba, Damansara Perdana and 26 November, Movida, Sunway Giza. The grand finale will take place on 16 December 2011, also at Cosmic Bowl – the place where it all began tonight. Eight lanes to bowl at, and countless of bloggers and media were all there to have a night of bowling. 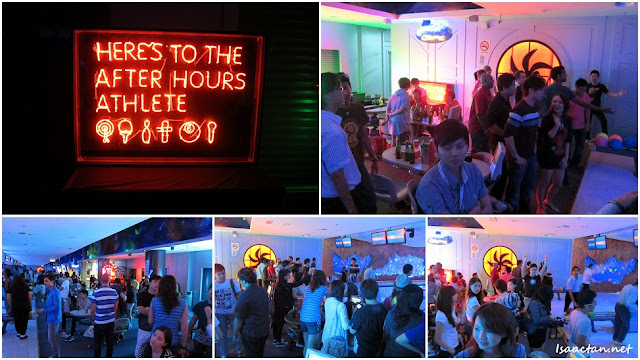 Carlsberg beer were served which together with Cosmic Bowl's pumping music really livened up the event. Groups were formed, where we saw some fierce competition between some teams. It was all good fun though. 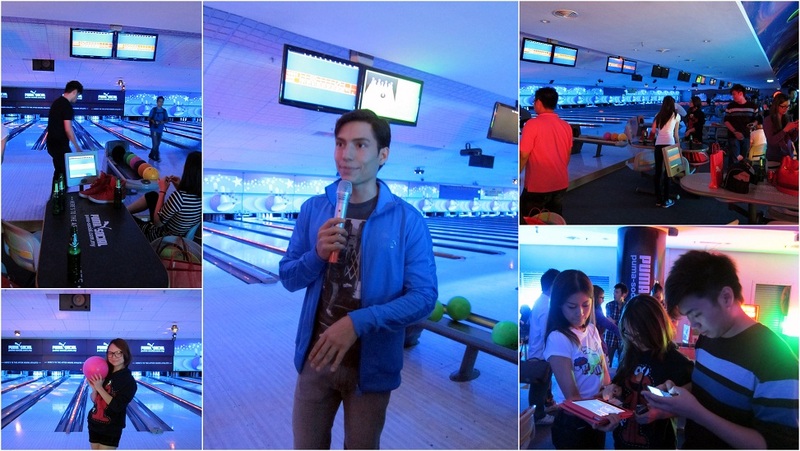 As usual, I managed to capture a few photos of the bloggers that made it to this event. It was a rather successful event where everyone had fun one way or another. I was just glad I managed to catch up with so many other bloggers. Like I mentioned earlier in this post, PUMA Social Finale Party will be held again in Cosmic Bowl on 16th December just like tonight, except it will be way bigger and more happening. Consumers who wish to win PUMA vouchers and score invites to the PUMA Social Finale Party will need to log on to PUMA Social’s microsite: www.puma-social.com.my and answer three questions that will determine their personality types. Do check it out, and let's meet again at the PUMA Social Finale Party this 16th December! No, thanks... All my balls, I mean...my bowls, would end up in the drain. Tsk! Tsk! LOL!! !